To go along with the good equipment sponsorship, God provided an additional and unexpected “no fee” third checked bag to Colin for the trip. More equipment could be carried and there was also room for a few clothes! A potential tropical depression (or worse) did not develop its full potential and moved away from the areas to be visited just before the team’s arrival in the Philippines. Air turbulence predicted by the pilot to be very bad did not occur. In fact, things went so well that the flight arrived over 30 minutes ahead of schedule. The team’s baggage all arrived and was located easily and then cleared customs without difficulty. VVM Director Bayani located the team without difficulty in spite of a brownout that made the lighting inadequate. o The team has been able to meet with several Bible translators who are encouraged by the good results of VVM’s Church Mobilization Initiative, and are hopeful that Bible distribution efforts and film production will expand. Why missions? What is our mandate? Where does the power come from? Why can we trust that missions will succeed? Here is a post from Bible-daily.org from today. This website encourages daily Bible reading, and this year will be reading with an emphasis on seeing the God of missions. Follow along this year! What commands did Jesus give right before he ascended? In Matthew 28:18-20, Jesus said, “All authority in heaven and on earth has been given to me. Go therefore and make disciples of all nations, baptizing them in the name of the Father and of the Son and of the Holy Spirit, teaching them to observe all that I have commanded you. And behold, I am with you always, to the end of the age.” Here is our mandate for missions. Jesus has commanded us to go, to make disciples and to teach. And He promises to be with us, and not only that, HE has all authority and says that is the REASON we can go confidently. HE is sovereign! God is sovereign over all missions! God has given all authority to Jesus…ALL! God has given us the promised Holy Spirit and power for missions! He has promised to be with us in missions! We are to GO as He has commanded…missions! 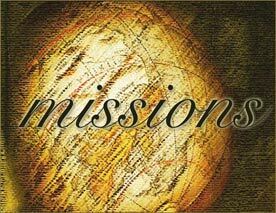 Would you like to be involved with missions this month in a very practical way? VVMI has two trips to the Philippines this month of January, and while it is probably too late for you to go this month, you can give toward a strategic project that the teams will be bringing over. This project is an iMac computer system that will be used to produce God-glorifying, Gospel videos for unreached peoples in northern Luzon. We are especially excited that some new children’s videos, “Deditos”, will be dubbed into more than a dozen languages in 2010. To give toward this iMac project, send your donation to VVMI, PO Box 37, Austin, MN 55912 or by going to GiveMN.org and clicking on the Vernacular Video Mission International page and following the donation link. Tags: Bible-daily.org, missions trips, vernacular video mission international, VVM Philippines, vvmi, vvmi.org, Why missions? The following is from a missions blog from The Village Church, located in multiple campuses in the Dallas, TX area. Although not connected with VVMI, we share the view that missions trips should not be simply “an exotic, religious vacation.” Perhaps you share that view and would like to consider going on a mission trip with VVMI? Contact trips@vvmi.org or check out our website for photos and information on trips. VVMI does medical and dental service trips to Guatemala and the Philippines, in addition to other types of trips. As the Guatemala II team arrived at Fundaninos Orphanage near Guatemala City on Friday, we were informed that there had been an incredible outbreak of lice among the children. In an act that clearly demonstrated transformed hearts and sacrificial love, the young women of The Village decided to work to solve the lice problem. For two days the ladies picked lice and eggs from the children’s hair and washed all their sheets and clothes. Some of the kids were so infested that it took two women three hours to pull the nits out. While the act would be enough to show sacrifice to the children, the way the women went about it with loving joy, patience, gentleness and kindness demonstrated the fruit of the Spirit, set the children at ease and even made the experience fun for some of them. Most of the time short-term mission trips are marketed toward our desire for adventure and travel. So mission trips have become highly expensive exotic religious vacations. “Travel to Beautiful Burmuda for the Lord” is how most missions’ brochures read. You never see a mission trip brochures that says, “Come to Guatemala to pick lice out of an orphan’s hair.” However, this is the type of self-sacrifice to which God calls us. The gift of Christ is that He sacrificed Himself so that we might have true life and true transformation. Not the type of transformation that masks a vacation as being for the Lord, but the type that removes our desire for ourselves and replaces it with sacrificial love for others. May we all learn to love God and others so much that we find contentment, and even joy, in picking lice out of an orphan’s hair. In March of 2009, Tom Peterson, a member of the VVMI Board of Directors, led a short-term trip to Luzon Philippines. He recently posted a video at Facebook. Jerry and Bonnie Schultz along with Tom Peterson share what they encountered on their short term mission trip to Luzon, Philippines. If you are on Facebook, please search for the “Vernacular Video Mission International” page and become a “Fan.” We will post updates regularly and you can see photos from trips. I don’t feel called to proselytize, necessarily,” he said. “I have a little more modern view that I think there is more than one way to salvation, or what have you. If they put me in a situation where I’d have to do that, I think I would have declined.” He’s going on the trip partly because he’s interested in travel. Just to set the record straight, Vernacular Video Mission International believes in the Bible. We believe the words of Jesus in John 14:6 where He says, “I am the Way, the Truth and the Life. NO ONE comes to the Father except through Me.” We believe people will perish unless they believe in Jesus (John 3:16) and we help proclaim the Gospel through video in common, heart languages of people who need to hear the truth of who Jesus is and the LIFE He offers. And if put in a situation where we must declare this belief, we will not decline. If you would like more information on VVMI, go to our website, vvmi.org There you will find information on sponsoring a project, praying for the mission, going on a trip or donating to help the Gospel be proclaimed through video.